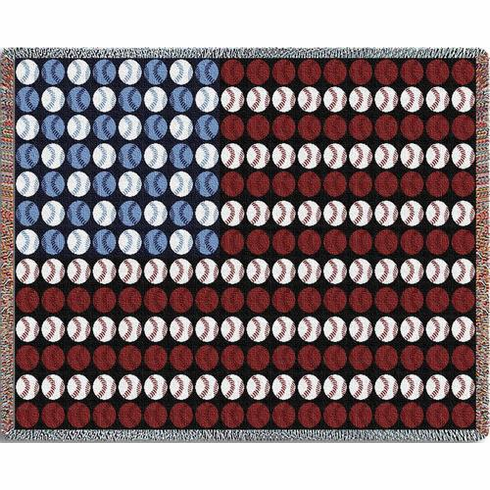 This 48" x 69" Baseball USA Flag tapestry throw blanket features red, white and blue baseballs which make up the United States flag. Woven of cotton on Jacquard looms, this is sure to become an heirloom. Perfect for any room in the house.